The PMRP and MFRP may have a lot of rock climbers heading back to the cliff lines to climb, but that doesn't mean if you not a rock climber that you couldn't enjoy to trails and the beautiful views of the cliff lines. 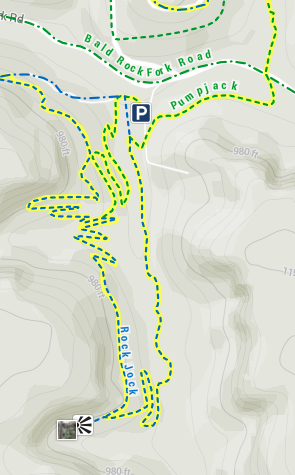 These recreational preserves have excellent trails and trail maps. Off Bald Rock Road in the Pendergrass Murray Recreational Preserve, park in the first parking lot on the left called Flat Holler. From here take the trail to the south and follow the signs on this 2 mile loop. Beautiful creek crossings, mossy boulders, and a view of the Flat Holler Arch. Be sure to share the trail, it is a multi use trail for hikers and mountain bikers. Did you know that the Sheltowee Trace Trail cuts right though Lee County? This trail was named after Daniel Boone, who was given the name Sheltowee (meaning “Big Turtle”) when he was adopted as the son of the great warrior Chief Blackfish of the Shawnee tribe. It is a 282 mile (453.84 km) National Recreation Trail that was created in 1976 and stretches from Pickett State Park in Tennessee to northern Rowan County, Kentucky. The trail is mostly in the Daniel Boone National Forest, but also takes visitors through the Big South Fork National River and Recreation Area, Cumberland Falls State Resort Park, Natural Bridge State Resort Park, two large recreation lakes (Cave Run Lake and Laurel Lake), and many wildlife management areas. All but the southernmost 10 miles (16.09 km) are in Kentucky. The trail may be multi-use, in certain sections, allowing horses, mountain bikes and off-road vehicles in some designated sections. Check with the ranger district for local rules if in doubt. Beattyville/Lee County is located just 15 miles south of the Red River Gorge Geological Area. There are numerous hiking trails and scenic wonders to explore. 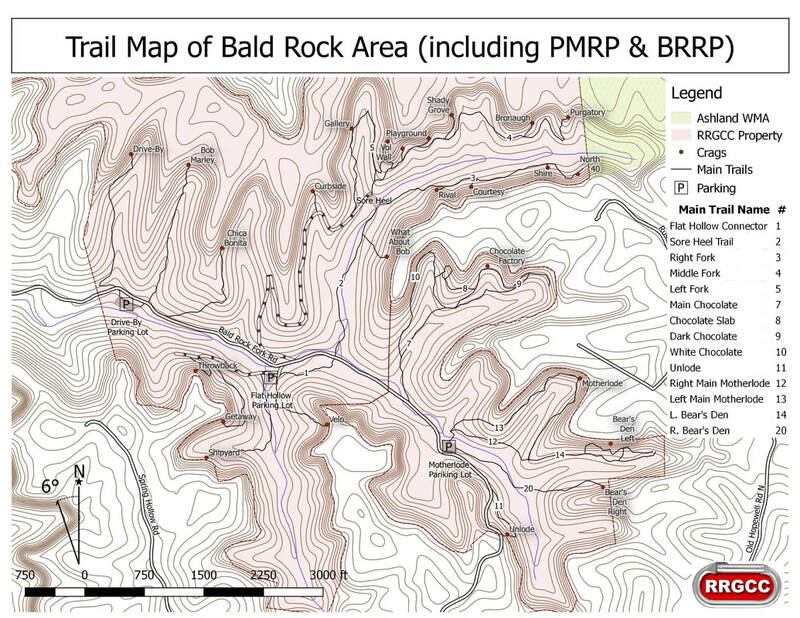 Download this map of hiking trails for the area. The Red River Gorge is a place where mighty sandstone arches rise to the heavens and forest niches hide delicate wildflowers that grow nowhere else on the planet. This rugged region of geological wonders astounds visitors from other places, but it is beloved by Kentuckians and known the world over to rock climbers, partly because of its many overhanging cliffs. The sandstone arch that is called Natural Bridge has stood for millenniums. The arch is 78 feet long, 65 feet high, 12 feet thick and 20 feet wide. Some geologists believe that the stunning natural sandstone arch is at least a million years old. There are other natural archways in the area, but none have gained the prominence of Natural Bridge. Since 1889, visitors have made the trip to the eastern Kentucky mountains to see this amazing natural wonder. 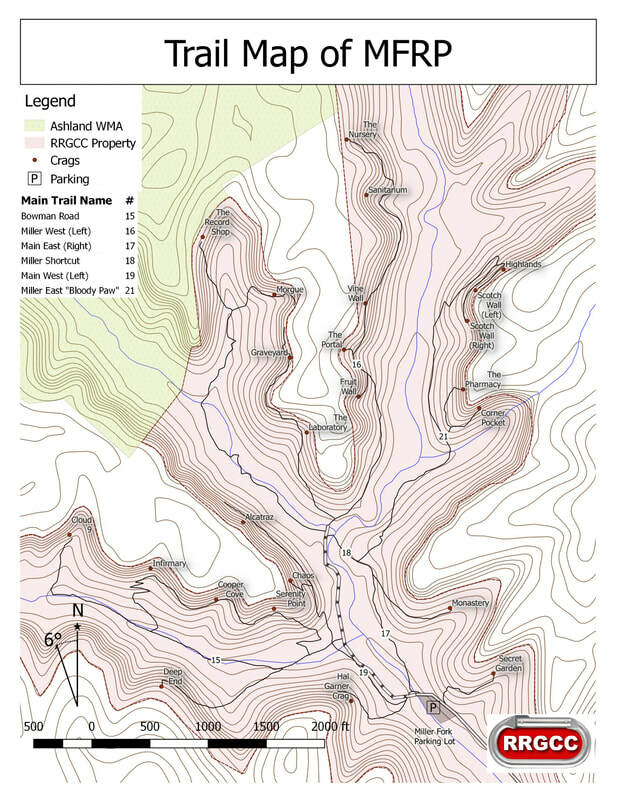 Down this document of hiking trails to the Natural Bridge. A section of the Original Trail up to the Natural Bridge. This is the most hiked trail east of the Mississippi River.